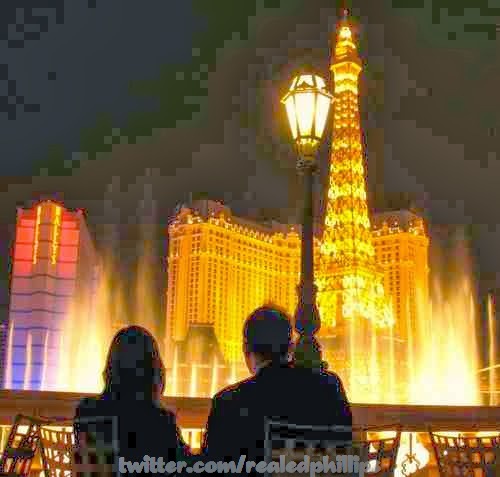 This weeks winner comes to us from @RealEdPhillips for a really brilliant picture of a couple, covered in darkness with only the lights of the strip and the fountains to highlight their silhouette. It’s a perfect example of how the city and its neon can look classically beautiful and romantic. Looking past the couple you can see the fountains as well as Paris Resort, the Eiffel Tower and Bally’s south tower. We found Ed’s picture when he complimented @Stevejanderson’s Twitpic of the week winning photograph just before we left for our last trip. 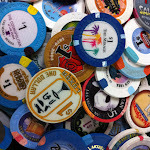 WMG Gaming "Jackpot Party Social Casino"